As the most refined, civilised way to cross the Atlantic, a transatlantic cruise can be either simply one way with a flight to either meet it or return from it, or for a jet-lag free option, choose the return journey for 14 nights of sheer pleasure. 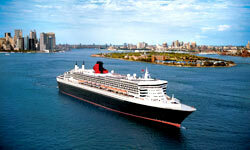 The most popular transatlantic crossing is a cruise to NewYork. 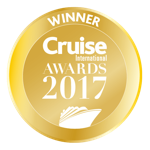 You can also choose to extend your stay with a cruise and stay holiday with one of the great cruise and stay 2014 deals on offer, combining your cruise with an exploration tour of the USA. As well as the regular transatlantic crossing if you time it right you could jump on a relocation cruise, Princess Cruises offer a great option with some of there best ships following the sun betqween the Med and the Caribbean. Cruises from Southampton to New York are considered to be the original Transatlantic cruises, however, crossings now also include the exciting destinations of Miami and Rio de Janeiro. If you want to experience the ultimate in luxury cruises, indulge in a Cunard Transatlantic cruise aboard the Queen Mary 2, Cunard's flagship which sets new standards in opulent transatlantic cruising. Known as the original Transatlantic cruise, this six night crossing to the bright lights of New York, is still the most popular Transatlantic cruise. Offering a wide variety of onboard entertainment, luxury and a taste of tradition, it has something for everyone from couples to families alike. If you choose the round trip crossing, you can shop til you drop in the Big Apple, safe in the knowledge that there are no baggage limits on board to hold you back! Visit the fashionable beachside city of Miami; famed for its stunning Art Deco centre and South Beach, with a 10 night Western Transatlantic cruise departing from Dover. To explore more of Miami and its nearby Caribbean islands, enjoy a fly and stay Caribbean cruise holiday departing from Miami. If you are looking for adventure from your Transatlantic cruise, a 19 night Atlantic crossing to the vibrant, cosmopolitan city of Rio de Janeiro or Sao Paulo are an ideal choice. Take a shore excursion to discover the gastronomic delights on offer and soak up the local culture and history in the extensive museums, rich in fascinating local information. Discover more of Rio de Janeiro and the fascinating country of Brazil with a South American cruise holiday.